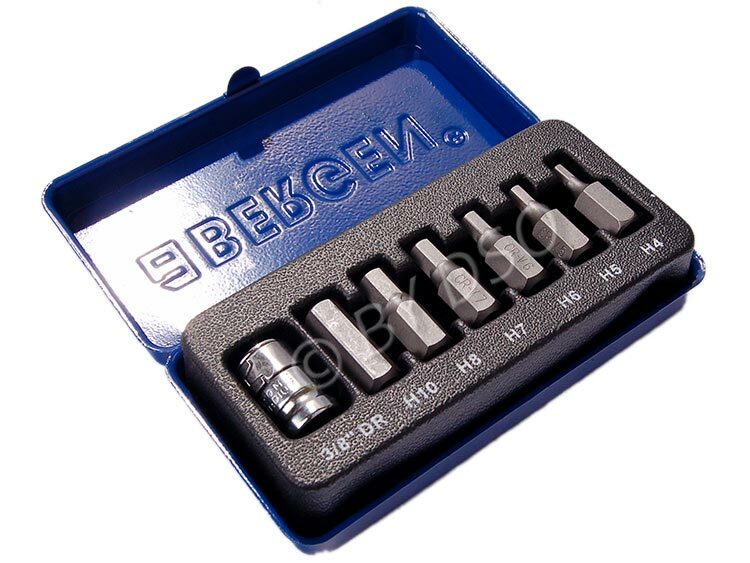 This set is made from high quality heat treated chrome Vanadium Steel, 6 hex bits with 3/8 Drive socket ranging in size from H4 to H10. These hex bits will last a life time if properly looked after and kept free from dirt and solvents. The perfect kit for all DIY enthusiasts, Car repairers, mechanics and hobbyists. This set comes complete with a steel case to keep them organized and safe from dirt.